According to MSN, there is a program in Irving Texas that includes the city, the builders association and volunteers to help get veterans with war time issues into homes of their own at no cost to them. The program is called Operation Welcome Home I believe. I can't imagine why veterans wouldn't be welcomed in any community as opposed to some of the lesser wanted options. Middletown has many vacant parcels of land. Irving Texas has vacant parcels of land. Irving is donating the land to build these houses. Would Middletown be able to do the same? Irving Texas has set up a network where the builders association donates the materials and home planning and the volunteers, under construction industry scrutiny, builds the homes to meet the local codes in carpentry, electrical and plumbing. Just wondering if this might be applied locally as a solution to all the vacant lots we know Middletown has at the moment. I do know there have been houses built in town using this format where the new owners put some "sweat equity" into the new house they will occupy. This might be an alternative to this as well. Thought this might be of interest. Old Middletown person living in Dallas. I enjoy this Middletown site. 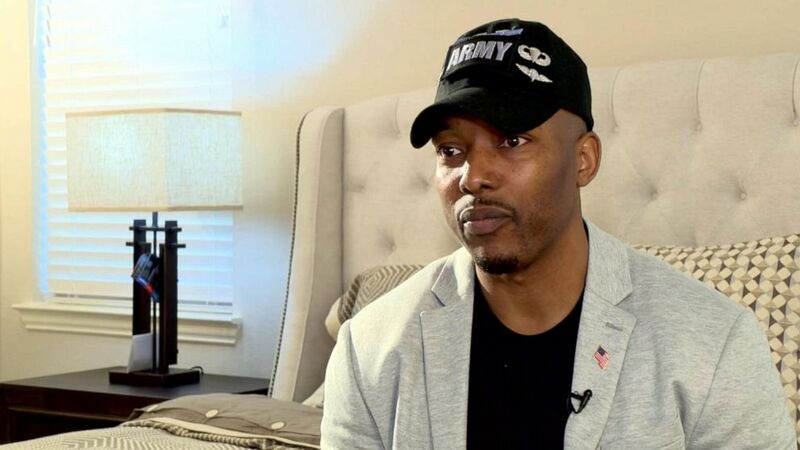 A wounded, retired military veteran and his family are still settling in at their brand-new house in Texas, thanks to the incredible kindness of various organizations, the city of Irving and the group Operation Finally Home. On Monday,Operation Finally Home, a national, non-profit organization dedicated to building homes for wounded, ill or injured veterans and their families, helped welcome retired U.S. Army Maj. Eric King, his mother and his four children to the neighborhood and their new house. The endeavor was a true community effort with even the city of Irving donating the land to build the home. King, 39, said the act of kindness had inspired his children, daughter Jaidus, 19, and sons Eric, 18; Kendall, 9; and Emory, 1. "It lets them know that what their dad may have done for our country is being recognized by all you great Americans, by gifting us as a family with a home," he said. "It is an inspiration to them to want to go out and do great things because when you do great things, you are rewarded." King, a native of Marianna, Arkansas, served with the Arkansas Army National Guard and the Golden Lion Battalion Army ROTC at the University of Arkansas at Pine Bluff. He received his Bachelor of Science degree in criminal justice in May 2003. He was deployed overseas four times including Iraq, Afghanistan and West Africa. Three of those deployments included three combat tours. According to Operation Finally Home, King suffers from post-traumatic stress disorder, traumatic brain injury as well as a seizure disorder. He suffered from a spinal injury during combat that did nerve damage to his legs, Operation Finally Home said. After 16 years of service, King was honorably and medically retired in 2016. He's working on staying healthy and motivating other military veterans who suffer from PTSD to reclaim their lives. (ABC News) U.S. Army Maj. Eric King, a wounded military veteran, said he was thankful to Operation Finally Home and the community that helped build his house. The groundbreaking dedication for the Kings' new home occurred in July 2018. As the home was built, workers from the companies that participated in helping build the home wrote notes of love and support on the home's beams. It is the seventh mortgage-free home built by Operation Finally Home in that area. I'm a homeowner and it's big thanks to Operation Finally Home and everybody else who had a hand in it. After King and his family toured their new home Monday, he said the feeling was "just mind-blowing." "I am grateful. I mean, this is my first, brand-new home," he said. "I think people went over and beyond. ... I never would have expected anyone to do this for me. ... To see all the great things that people have donated, the sponsors, the donors, the contributors, all that, to me it speaks volumes." "Whenever I may feel like, cause I do from time to time, feel like that I am going back to a place that I don't want to go back to, this right here (will) let me know that there is still life for me to live," he said. "I have something to live for. ... It's priceless. ... This here is gonna help us to move forward again." Operation Finally Home said that Dallas Builders Association and Winston Homes, along with NEC, City of Irving, Copart and several other supporters are honored to provide King and his family with a custom-built, mortgage-free home in Irving, Texas. "This is part of the American dream: being a homeowner. I'm a homeowner and its big thanks to Operation Finally Home and everybody else who had a hand in it," King said.